FuSE Technology combines very powerful technologies developed in the McAlister portfolio. Hydrogen, Carbon and Electricity are resource elements in the FuSE technology platform. The FuSE system adapts deployment to local needs and resources to build sustainable economic development in communities throughout the world. FuSE Economics use the key technologies to interrelate agriculture, energy, and industry into a unified economic eco-system and an engine of economic growth. Once installed these technologies work together to build a clean, green sustainable local economy. Waste-to-Energy Conversion takes biowaste and biomass and produces hydrogen for fuel and carbon for manufacturing durable goods. Distributed Power Generation converts the hydrogen-fuel into electricity through internal combustion engines and/or fuel cells. Distributed Manufacturing takes carbon feedstock to produce carbon-enhanced products. Each of these deployment-types utilize the fundamental FuSE plan as shown in the graphic above. 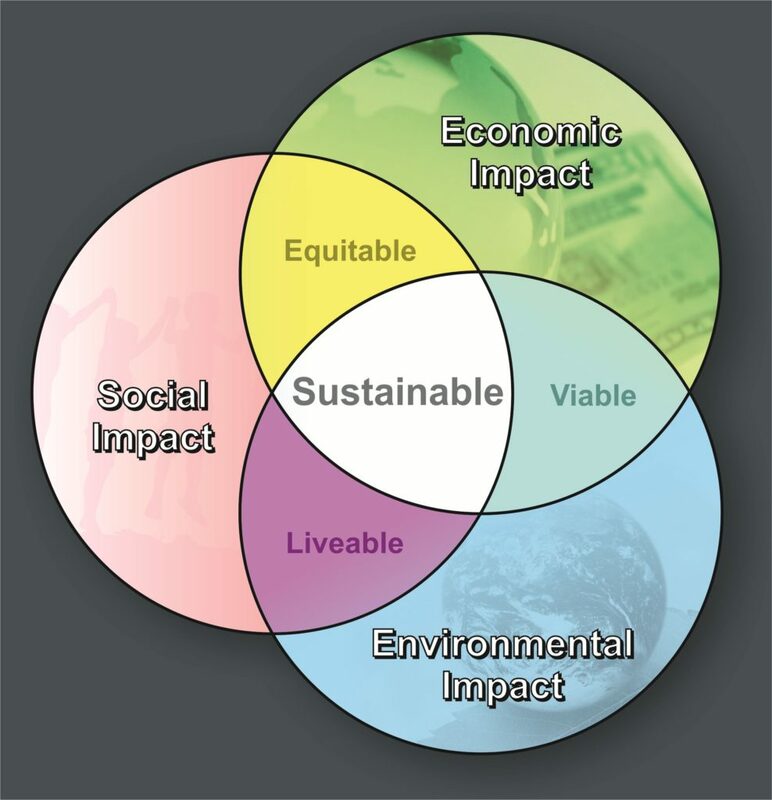 FuSE is oriented to the most universally understood model of sustainability: Environmental impact, Economic impact, and Social impact working together to create sustainable living spaces (quality of life) now and for future generations. This is a plan for renewable energy/renewable resources for developing nations so that they do not have to create the same environmental harm that has occurred in the preceding 100 years. FuSE Technology enables Renewable Resources Revolution through sustainable economic production. Distributed Waste-to-Energy is drawn from a regional agricultural-network of farms and waste disposal sites; Distributed Energy Generation interrelates hydrogen engine-generators with wind and solar power; and Distributed Manufacturing (emphasizing carbon products). 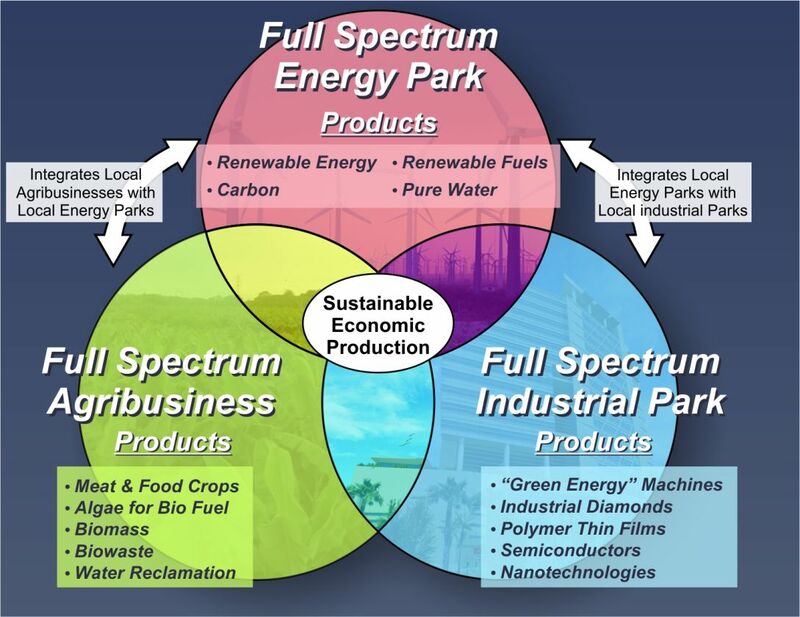 This illustration shows the way in which a FuSE Renewable Resources park production / commercialization can become an engine of economic development for a community. The McAlister FuSE™ technology portfolio has focused on: (1) engineering the production of renewable energy at scale and efficiency, (2) increasing energy density storage and transport, and (3) engineering the FuSE™ facilities to create high quality, non-out sourceable jobs. The end result is a dynamic engine for new economic growth that is sustainable. The importance of a physical technology platform should not be underestimated, either in terms of hardware or software embodiments. Commercially successful technology platforms provide physical and virtual structures for ongoing performance improvements, new product commercialization, and a technology roadmap (vision/plan/milestones/priorities) for near-term and long-term advancements.